Whether you are shooting a short film or a big budget feature, there are certain permissions and clearances required. We have compiled a list of contacts and some basic advice covering these areas. If you are looking to get clearance for closing a road or shooting in a National Park, the following information should point you in the right direction. If you wish to film in Galway in a public space you will need permission. 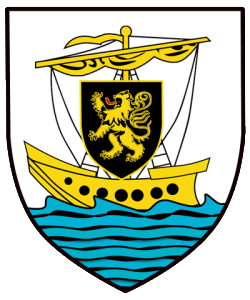 Galway is divided into two regions each of which is governed by separate Local Authorities, Galway City Council and Galway County Council. Galway is divided into seven districts and if you wish to request a Garda presence during filming you must submit a written application to the Superintendent in charge of the relevant district. You will be requesting Gardaí to be engaged in duty of a non-public nature and there is a fee for this service. It is advisable to make contact as early as possible in the planning process and to cc the Garda Chief Superintendent at the below address as a matter of protocol. The following contacts list all the districts in Galway. If you wish to film in a public space in Galway county you should contact the Corporate and Cultural Affairs Unit in Galway County Council on + 353 91 509 310. Phone lines are open 9am to 5pm Monday to Friday or email: general@galwaycoco.ie. The main contact is Anna Kyne who can also be directly contacted at 091 509 315 and akyne@galwaycoco.ie. This office will liaise with the Area Engineer in the location you require and assist you. Public spaces include beaches, areas of recreation and public amenity, graveyards, etc and there is a fee of €65 per location. It is advisable to contact the council about one month in advance of the shoot to give them time to liaise on your behalf with the area engineer in the desired location to ensure that everything is in order. As with all dealings with public agencies it is essential to have of your insurance details in order. If you require a temporary road closure in Galway county please see the details in the Temporary Road Closure Explanatory Memorandum which includes information on Timescale ( a minimum of 8 weeks is required for requesting closure), Insurance, Fee, Expenses, Traffic Management, etc. A notice of intention must be published at least two weeks prior to the closure, in one or more newspapers circulating in the area and the Superintendent of the Gardai in the area must be notified in writing. The notice must describe the road, state the period of closure, the reason for closure, describe the alternative routes, and allow for objections to be made within a specified period of not less than three days from the date of publication of the notice. The Council must consider any objections or representations before an Order is made to close the road. The notice of decision must be published at least seven days prior to the closure and the Garda Superintendent notified in writing. Also included here is the form for Application for Temporary Road Closure. For all queries in relation to roads please contact The Roads & Transportation Unit in Galway County Council on + 3353 91 509 309 or email roads@galwaycoco.ie. Generally speaking licences are required in two areas, open spaces and roads and this determines the type of permit you need. Below is a copy of the Terms and Conditions of Open Space Permit which details the insurance needed (Public Liability Insurance of €6.5million, Employers Liability Insurance of €13million, both to include a specific indemnity of Galway City Council), as well as details of Bond Deposit, Risk Assessment, Signage and Parking. Also included is a copy of the Locations and scale of Charges Open Space Permit which outlines the scale of charges for bond deposits and site rental fees, and a copy of the Application Form for Open Space Permit. All enquiries should be directed to Maura Kelly, Staff Officer, Parks Section, Tel (091) 536 802, email parks@galwaycity.ie and it is advisable to contact him at least one month in advance of shooting. For further information contact either Deirdre Burke, Staff Officer, Transport & Infrastructure Section, Tel (091) 894 310, or Breda Burke, Staff Officer, Tel (091) 894 313. Both Officers can be contacted on roads@galwaycity.ie. There is no fee for the Temporary Closing of a Road, however, if the application is successful, an administrative fee may be charged to cover the cost of advertising the public notices relating to the road closure. If the application is successful, the applicant must ensure that the Ambulance, Fire Services and the Gardai are notified of the closure. Galway.Tel: +353 (0)91 561874 / 562329. Much of Ireland’s woodland areas are owned and managed by Coillte, a commercial company which owns over one million acres of land, most of which is forested. 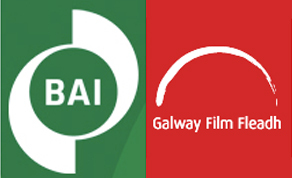 The Film Galway Partnership is a group of organisations based in Galway city and county who work together to encourage, market, support and facilitate Film and Television production in Galway. It is spearheaded by Galway Film Centre in cooperation with Galway County Council and Galway City Council and aims to encourage, support and facilitate Film and Television production in Galway. The Partnership has been endorsed by both the Galway County and City Development Boards and is made up of all of the key agencies who can support incoming productions. Included in the Partnership are The Irish Film Board / Bord Scannán na hÉireann, Galway County Council, Galway City Council, An Gárda Siochána, Galway Chamber of Commerce, Galway Airport, Fáilte Ireland, Údarás na Gaeltachta, Enterprise Ireland, Galway City & County Enterprise Board, Galway Film Centre, Galway Harbour Company, Coillte, National Parks & Widlife Service, and the Office of Public Works, National Monuments Section. *Provide production support through the provision of information and contacts to both indigenous and incoming Film and Television productions. *Have a key senior person in each organisation who can help fast-track requests from Film and Television production companies and help productions overcome any logistical challenges they may encounter. *Actively promote Galway as a well-resourced location and organise events and promotions to market the West nationally and internationally. *Promote awareness in the region of the benefits of the Film and Television production on the wider economy and on cultural tourism. *Ensure that Galway remains a “film friendly” location and work at developing this reputation. There are a number of areas in Galway County that come under the control of The National Parks & Wildlife Service, including National Parks, Protected Sites, (including Special Areas of Conservation and Special Protection Areas) and Nature Reserves. All licensing applications should be made to John Maguire, contact details listed below. The National Parks & Wildlife Service, 7 Ely Place, Dublin 2.